Are you ready for some big news, Disturbed fans?? 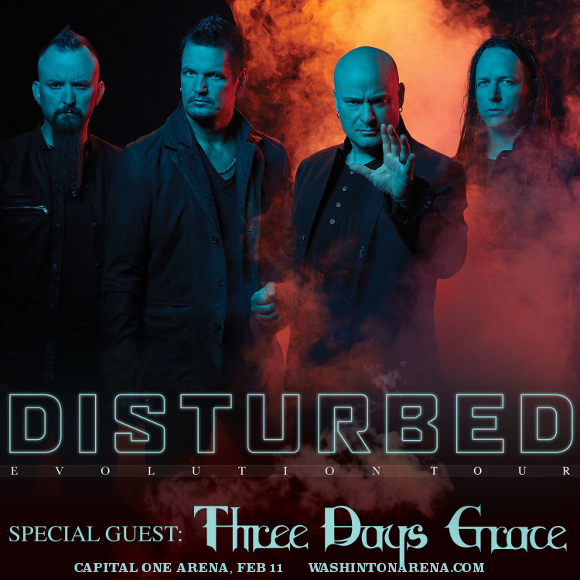 That’s right, your favorite band are joining 3 Days Grace for The Evolution Tour – hitting the Capital One Arena on Thursday 21st February 2019!! This concert will be a draw for people all across Washington and beyond – tickets are expected to sell out fast, so don’t delay! Hit the “Buy Tickets,” button and get yours today!! Are you hyped to hear all the new songs live?? We sure are!! Get your tickets and see you at the show!